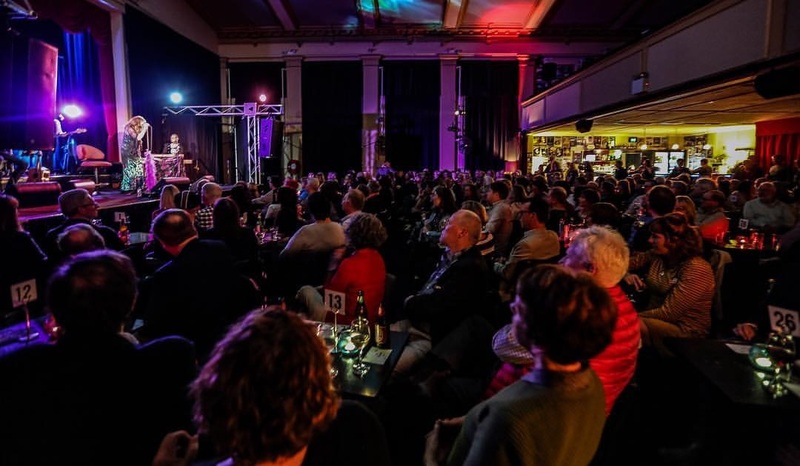 MEMO Music Hall is an iconic performance venue in the heart of St Kilda run in partnership with the St Kilda RSL. Located behind the RSL, MEMO offers a diverse program of entertainment including, live music, theatre, filming and music ranging from classical recitals to down and dirty rock ‘n’ roll. MEMO is also in demand as a recording and rehearsal space due to the superior acoustics of this unique space. MEMO has had a vibrant past since it opened in 1924 as a dance hall dedicated to raising revenue for distressed soldiers and their families. Following the rise in popularity of cinema, it went on to house The Memorial picture theatre from 1927 to 1958, when it became affectionately known as ‘The Memo’. From 1961 to 1965 MEMO music hall was the home of TELEFIL recording and film studios under the supervision of legendary sound engineer Bill Armstrong. The stars of Channel 7’s weekly variety program Sunnyside Up, including Olivia Newton-John, recorded the audio at MEMO miming to the pre-records live on-air. The Channel 9 Big Band also recorded at MEMO due to its size and acoustic splendour. Amongst its claim to recording history fame is its location for Normie Rowe’s 1965 hit, It Ain’t Necessarily So. Banned initially for its lyrics, it was the first number one record in both Sydney and Melbourne, by a Melbourne-based artist. In the 1980s and early 1990s Pan Pacific films were based at MEMO where it was used for filming and as a rehearsal space. The 2003 film ‘Ned Kelly’ starring Heath Ledger was rehearsed here. MEMO continues the tradition of being home to rehearsals, recording and live performances. You can find us at 88 Acland Street St, entrance via Albert Street, St Kilda and can hold a capacity of 400 people.